Whether you’re managing the social media presence for a small business or a large corporation, “doing social media” is a lot more work than many would expect. Creating and distributing great content on a regular basis on just one social media site, and then keeping track of the engagement can already be tons of work; once you add in the growing number of social media platforms businesses everywhere are trying to participate in, it becomes downright overwhelming. Fortunately, there are a variety of social media management tools created by third-party companies to help build and manage your social media campaigns, improving their quality and success while making things even easier for social media managers in the process. These tools are not all created equal, however, so in this post, we’re going to look at four great tools I highly recommend for businesses to use to boost social media success. Analytics tools are important for all businesses to use. Analytics allows you to access information such what content is performing well based on parameters you set up, when your audience is most likely to engage, and how they’re engaging with different types of content. While on-platform analytics like Facebook Insights or Pinterest Analytics can be unbelievably helpful (and every business should be using them), being able to see how your social media campaigns are influencing your actual website traffic can also be hugely insightful. 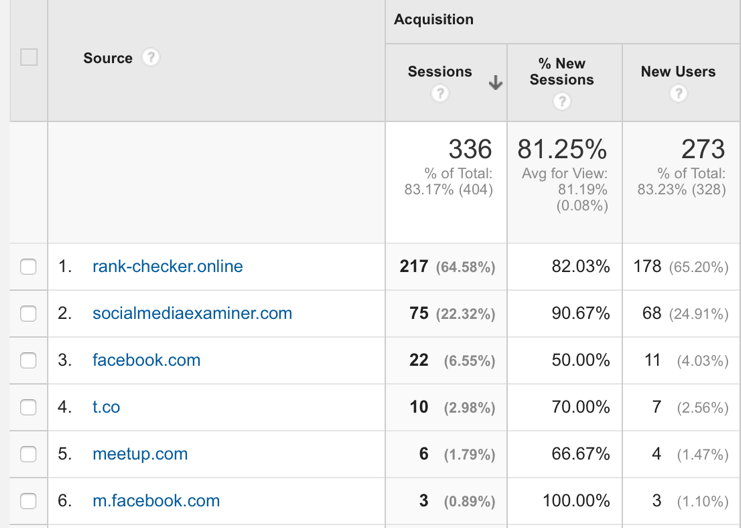 With Google Analytics, you can see which social media platforms your website traffic is coming from. You can also see who is sending you traffic that converts, and how they’re engaging with your content and traveling through it once they’re actually on your site. Google Analytics allows you to track users’ behavior as they move through the site, so you can see what pages lead them where. Though it can be a great way to track all content marketing, Google Analytics can be particularly helpful in tracking the results of paid campaigns from platforms like Facebook Ads, Twitter Ads, or Promoted Pins. Being able to see where your traffic is coming from shows how much of an impact your campaigns are having in terms of sending traffic—and conversions—to your site. Since the analytics on ad platforms (like Facebook Ads) has sometimes seen minor discrepancies in reporting, Google Analytics can help you get the big picture and the most accurate information overall. Some social media sites, like Facebook, will allow you to schedule upload and schedule posts in advance of when you want them to appear. This is a great feature, as it allows you to upload the content when you have the time—and potentially in mass quantities—without having to actually be at your computer the second you want it to go live. This makes it significantly easier to have content go out when your audience is most likely to engage with it. Buffer is a popular tool for social media scheduling. One the reasons Buffer has so many devotees is that it offers a variety of platforms to connect to, including Twitter, Facebook, LinkedIn, Pinterest, and Google+. Buffer allows you to connect with many major social media sites marketers are focusing their energy on today. You can schedule content easily, selecting the date and time you want the content to be posted. You can choose to create a regular posting schedule, which automates the process even further. As a bonus, Buffer also offers analytics on the posts you schedule after linking your account, giving information about engagement and reach of your posts. This can help you better create relevant content for your audience, as you’re able to see what’s working and what isn’t. Having the added bonus of analytics on a scheduling tool can be hugely beneficial. PostPlanner is another scheduling tool that I’ve used and would recommend. Social media contests can offer a whole slew of benefits; they can help boost your number of followers, increase your engagement rates, create brand awareness and loyalty amongst followers, and can create hype that helps get your business noticed. They can also be challenging for some social media managers to set up. ShortStack is a fantastic social media contest platform. ShortStack offers a variety of contests that you can choose to run, including sweepstakes, photo and video contests, offers, and Instagram contests. Since ShortStack also offers 100 ready-to-use templates, it can make the whole setup process more straightforward that you might think. Being able to choose from a variety of contests can enable you to choose the contest best for you and your audience, and to change things up from time to time to keep users engaged and interested. 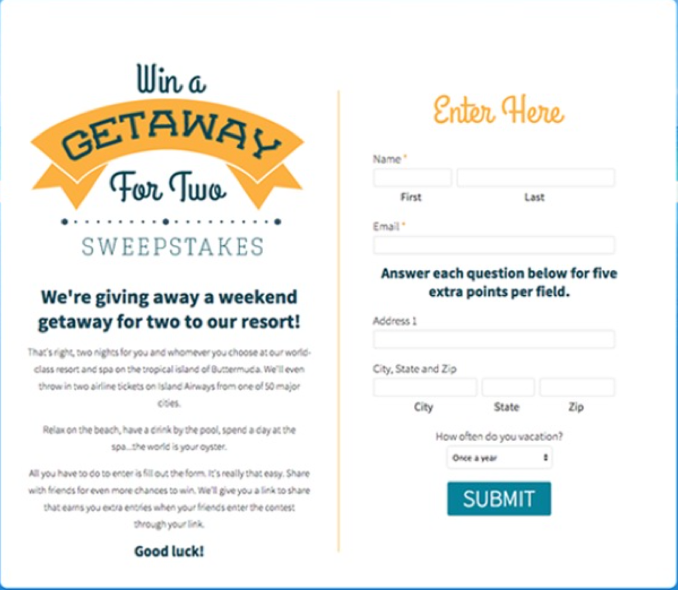 ShortStack also offers great features, including the ability to moderate entries, a random entry-picker tool, and lead forms that you can use to safely collect a users’ lead information (including email and/or phone number) with your contest through a landing page. When it comes to blog integration tools, I love CoSchedule, especially when your social media and content marketing teams involve freelancers like myself. CoSchedule is easy to use with a user-friendly interface, and allows social media and content marketing teams to collaborate and schedule blog posts on WordPress, even noting who the author is. It also allows you to choose to distribute the post across social media. CoSchedule’s blog integration tools even allow you to view the page in WordPress and edit it before it goes live. Within the software, you can create individual tasks multiple people can participate in, and to-do lists that can have deadlines and assignments added in. With blogging being such an essential part of content marketing and even social media marketing, being able to streamline the process and make it both simpler and more efficient has been highly valuable to both me and several teams I’ve worked with. Social media marketing is a lot of work; there are a lot of moving parts that can be difficult to keep up with. As more and more platforms join the market of social media sites that can be used for marketing, it only becomes more difficult to manage. Fortunately, an increasing number of tools are available to simplify social media marketing, making it more efficient and profitable. What do you think? Which tools do you use to enhance or simplify your social media marketing? Tweet us know what you think @ShortStackLab and @Ana_Gotter. Ana Gotter is a writer who contributes often to Social Media Examiner and AdEspresso.